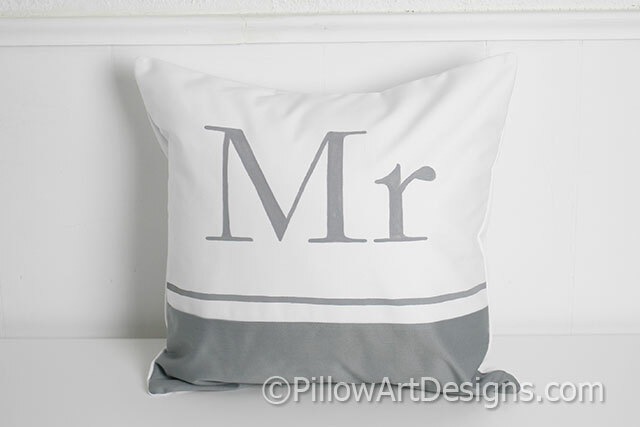 Set of Mr and Mrs pillow covers with mini 'Since' date pillow. The Mr cover done in block style font, the Mrs done in script style font. Bottom colour panel done in grey with thin grey stripe painted above. 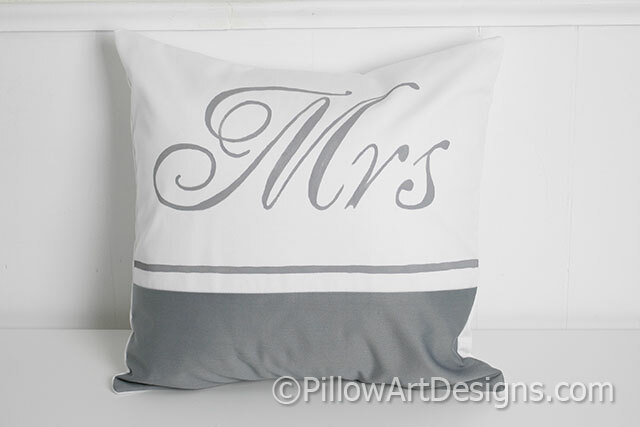 Small 'Since' date pillow painted in grey, front panel white cotton polyester twill, back panel grey cotton polyester twill. Mr and Mrs covers made to fit 16 X 16 inch inserts (not included). 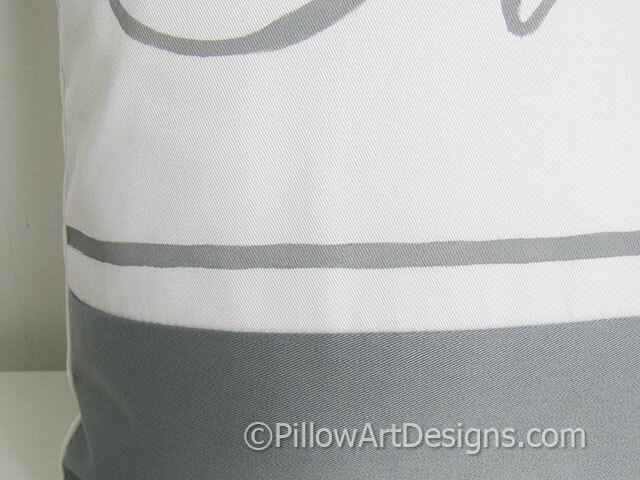 Grey and white, outer fabric white cotton twill and grey cotton twill. All pieces fully lined with white cotton polyester. 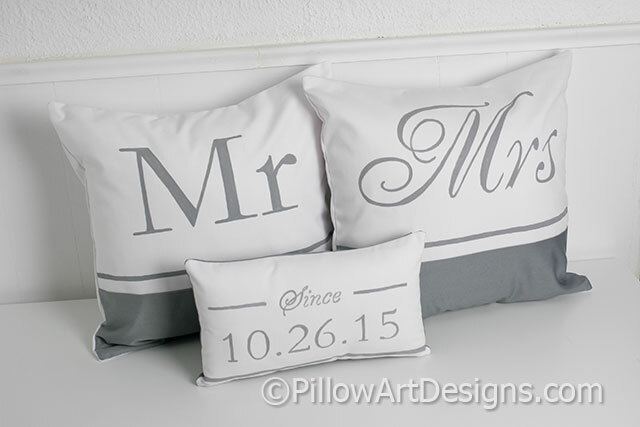 To order, purchase this listing and remember to email me the date numerals you wish for the front of the mini pillow. Please allow one week for me to complete your order.